← Making Thinking Visible: Building Understanding through Critical and Creative Thinking. This is the year of the circle. My father always said children need something to hang their hat on and something bigger than them. So what does this mean in terms of learning? Schools are our young peoples’ community, something bigger than them and where they can hang their hat. Primary schools exist for young learners, but they are also children (so keep that thought). A school has a greater responsibility than just teaching the 3Rs. Schools are where our young people learn about relationships, community and develop a sense of self. My school is an IB-PYP school. So why be an IB school? It’s a question I’ve thought about for some time and relates to what my father told me. Children need something greater than themselves and so does a school! Schools are an important part of their local community, but where does a school hang its hat and be part of something bigger than it? Example 1. Developing a sense of community: The IB Learner Profile. The IB has developed a framework known as the Learner Profile. The Learner Profile relates to all learners, teachers, administrators and wider community members. The IB Learner Profile recognizes the broad needs of young learners and young people across the world. Example 2. Developing a sense of community: Being part of something bigger. My students understand that we are a team and being part of a team has associated responsibilities. Our team is part of the school community, local community, government education system and IB World Community. Young learners (6, 7 & 8 year olds) need to grow their understanding of responsibility by being part of a community and the classroom is where they start. 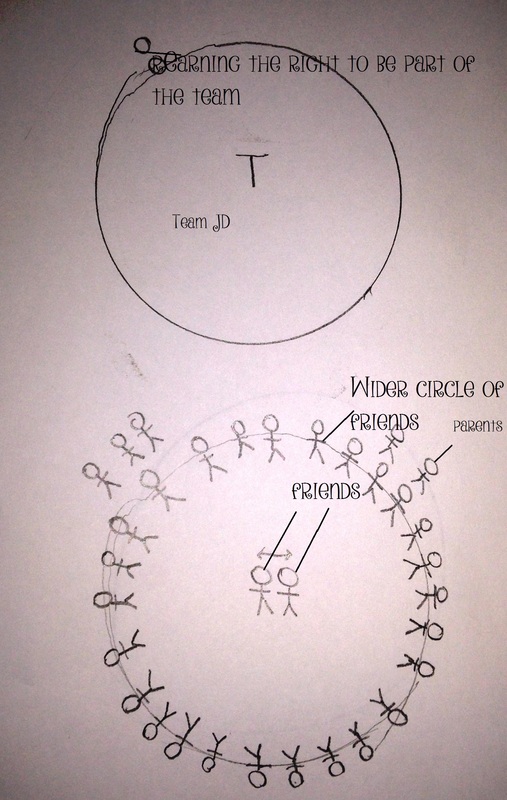 Two simple diagrams underpin my students’ learning about being part of a team and managing relationships. 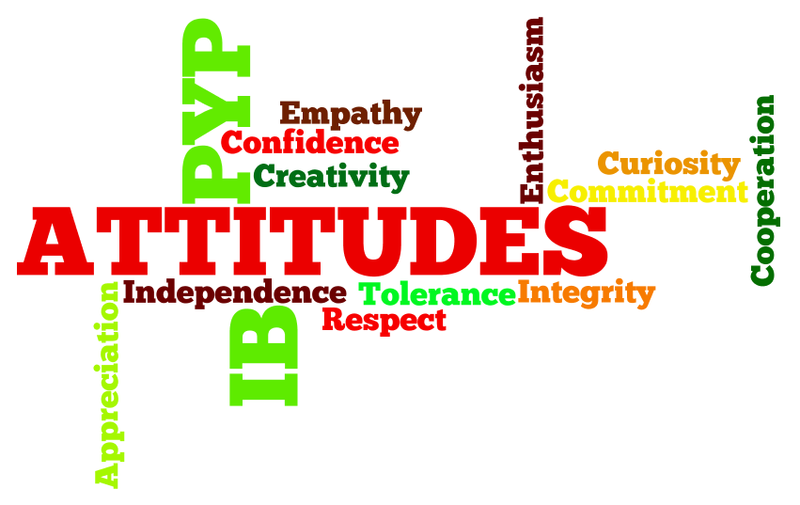 I bring everything back to the IB Learner Profile and attitudes. 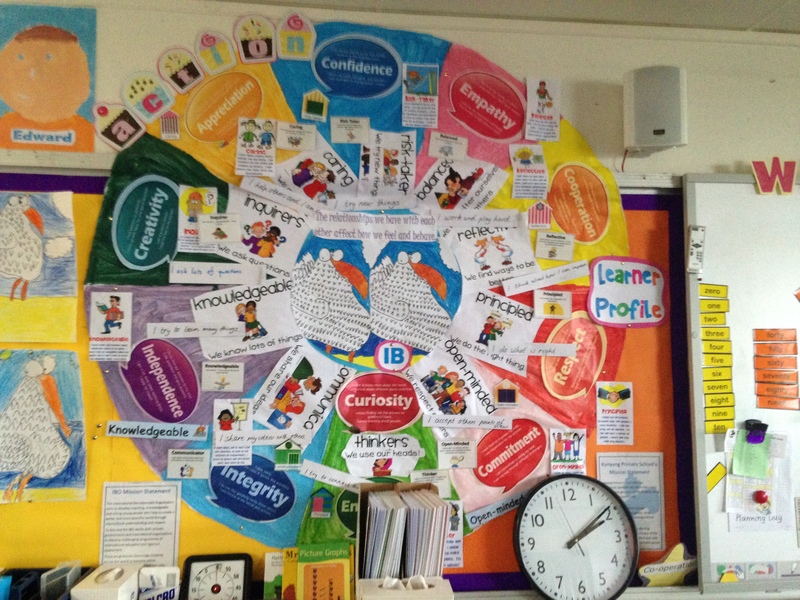 The picture below is our Learner Profile circle and ‘working wall’. The learner Profile represents our classroom essential agreements. My students know that as learners we make mistakes and learn from them, however, they also understand that being a member of the team is about demonstrating the Learner Profile through our actions. The Learner Profile is part of our daily learning. It’s not just a pretty display, it is a living and growing record of our growth as learners and young people. Sometimes someone may not have exhibited the Learner Profile and as a consequence moves to the side of the team. The young learner then has to develop the trust of the team to move back. Being a member of the team is very important to these young learners and they are incredibly supportive of each other. It has become a very positive approach to classroom management. It would require another post to explain how students learning self management is powerful for their confidence and learning.